Armor: Whatever fits the remaining weight to be lower than 70%, be it fashion-souls, balanced protections or even both. This build is a Quality and Faith hybrid, and as such is aimed to have high scaling with a wide variety of weapons and have access to damage and protections buffs. This results in high damage , survivability and overall flexibility when facing different builds in PvP and different enemies in PvE. The weapon art Perseverance is used to step into enemy swing and trade - you have a small window of hyper armor + boosted protections, so the resulting trade is both in your favor and you dont get staggered, while your opponent does, which allows you to have a free followup attack. This weapon has a great number of combo moves with very high resulting damage, but we are not looking to trade with this weapon. We do use Lightning Blade and Saint's Ring again, since this weapon can be buffed. The weapon has a great moveset that includes pokes, overheads and wide slashes, which makes it very flexible, while having a great reach. The weapon art Falling Bolt has a fairly long reach and a VERY good tracking - only rolling can save from its damage, which is usually almost half enemy hp. The build works well with lots of other weapons, feel free to try it with whatever weapon you like! What stats would you recommend for Vigor, Endurance, Vitality and the like? The main stats I get. Rings: Havel Ring +1, Knight Ring, Faith version of knight ring and the +1 Hp, Stamina and equip increase ring. If you want you can use higher level rings but I am at NG+ now without dlc. If you&apos;re level 150 I suggest going for some more Vigor and Attunement. Im at SL 140, so have higher vit and use a similar setup to this, with 32 str, 30 dex and 30 fth. I use the mace, lothric knight sword, and crescent axe in the right, and cathedral knight greatshield and canvas talisman in the left. Definitely going to try this- seems good, interesting and definitely viable. Any help or advice at all would be appreciated, thanks! I respecced from a pure melee quality build to this and it&apos;s a lot of fun. 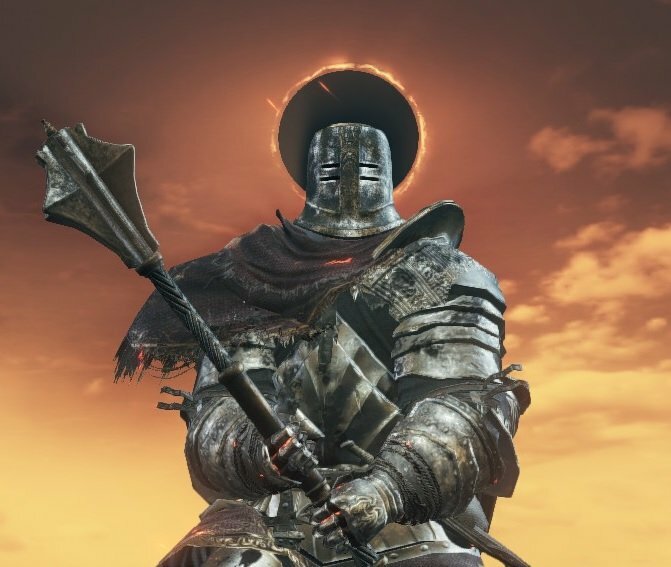 I&apos;m using the Refined Lothric Knight Greatsword with it and it packs a serious punch. I&apos;ve been doing a lot of souls farming on the Twin Princes and I hit over 700 with both buffs and lightning blade. I&apos;m wondering if I should go for 24 attunement though so I can equip both the Lingering Dragoncrest Ring and the Lightning Clutch ring to maximize performance. (Along with Havel&apos;s and Ring of Favor). I have a bit of a hard time deciding which one to pick so I might as well go for both (at the moment I have the Deep Ring for extra attunement).For me this build takes a bit of getting used to managing the buffs and ashen estus but it&apos;s definitely very fun and that LKGS + Lightning Blade looks simply amazing! What allocation do you have for estus vs ashen estus? I have 12/3 at the moment. One bar of FP allows me to cast all buffs once. I like what was chosen but was confused by the fact that none of them (besides swordspear) have any actual faith advantage unless they are buffed. I personally enjoy Lothric Greatsword and buffed Drang hammers, but thats just me. What Class is this based around , knight or cleric ? You said we could use multiple weapons. is there any you would highly recommend besides the ones you listed? Been doing similar things glad for the weapon list though been sad that alot of weapons plainly have superior versions at higher weight. What sort of infusions do you recommend for this build? I have found a video on youtube showcasing a build with similar ideas, but the link to said video gets removed from the page.